Resources | School-to-Career. It Works! MassHire Hampden County Workforce Board is the region’s primary planner and convener to address workforce development issues. They are involved in developing reemployment strategies for laid off workers and training programs for new workers. They are committed to improving and expanding workforce development programs and services for youth. MassHire Springfield Career Center is one of the Commonwealth's 37 One-Stop Career Centers that provide job search assistance and career counseling to help job seekers find jobs. Career Centers offer monthly events and workshops that help job seekers improve their job search skills, learn basic PC skills and connect with employers. The interactive destination for students planning for college and career – and for counselors and parents helping them along the way. 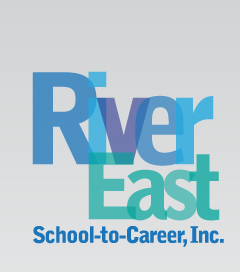 River East Shool-to-Career, Inc. | 1455 North Main Street | Palmer, Massachusetts 01069 | 413-283-5051 | © River East School-to-Career, Inc.